Pasco County, Florida is home to many a biker’s paradise, and Wesley Chapel is no exception. Another gem in Florida’s biker crown, Wesley Chapel offers a unique experience for riders of all stripes and experience levels. Ideally situated in close proximity to Interstate 75 and Interstate 275, Wesley Chapel is just 25 miles north of Downtown Tampa, east of Land O’ Lakes, and is a must see for any motorcycle rider touring Tampa Bay and the Interstate 75 corridor. To the north, you’ll find Wesley Chapel South and the Cypress Creek Flood Detention Area. Further north, bikers frequently travel the back roads to reach Pine Island, Brooksville, Croom Wildlife Management Area or the Green Swamp Wilderness Preserve. To the south you’ll find Cross Creek Boulevard, New Tampa and the Lower Hillsborough Wilderness Preserve. Wesley Chapel also offers the Tampa Premium Outlets or the Shops at Wiregrass Mall. To the west, you have U.S Highway 41, Willow Bend Parkway, Collier Parkway, Lutz Lake Fern Road and other scenic routes, offering twisty and winding country roads. To the east, there’s County Line Road, Meadow Pointe Boulevard and Morris Bridge Road, also frequented by motorcyclists – all year around. Thus, you’ll find something for every motorcycle rider in Wesley Chapel and its surrounding areas. However, as every rider knows, motorcycle riding comes with its own unique set of dangers. Within seconds, a trip out to beautiful Wesley Chapel can take a turn for the worse. In recent years, Wesley Chapel has seen tremendous growth; and as a result, we have seen more traffic congestion on roads such as Wesley Chapel Boulevard, State Road 54; and especially from those commuting from Interstate 75 or Bruce B. Downs Boulevard, especially during rush hour. Distracted drivers, drunk drivers, poor road conditions, tourists, visitors and unpredictable rains are all things that can turn a pleasant motorcycle ride into something much worse. How many times have we heard or read in the news that someone turned left in front of a motorcycle, violating the biker’s right of way, causing a severe collision and serious injuries? Every motorcycle rider needs to be prepared for the worst case scenario: injury! Every biker should have a contingency plan. Know who to call in case of a motorcycle accident or injury: Brad Souders, the motorcycle injury attorney. Brad is a Florida native and a lifelong motorcycle enthusiast. As a biker and an attorney, Brad knows more than most, which puts him in a unique position to represent you in your motorcycle injury case. You want someone with courtroom and motorcycle knowledge to represent you, to get you the justice you deserve, to obtain the best settlement, to get you back on the road again! You don’t want just any attorney. 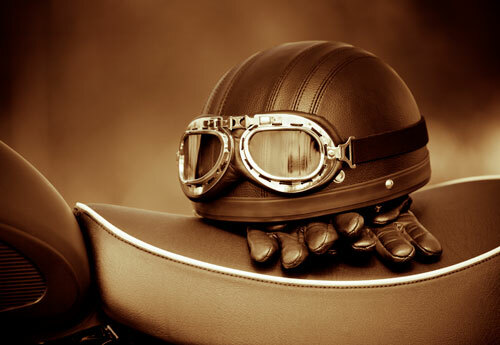 Brad is an award winning trial attorney who has numerous motorcycle injury cases under his belt. Brad even offers “Biker Rates” for fellow motorcycle enthusiasts, so don’t think twice – call now to have Brad represent you in your motorcycle injury case today! What are my rights, what am I entitled to? How we obtain copy of the crash report and how soon can we have it? What additional investigation is necessary to preserve the evidence and my rights? What insurance coverage is available, what insurance does the at fault driver have? What other avenues of financial recovery are available? What should be done with the wrecked motorcycle? If the motorcycle is deemed a total loss, how do I determine its fair market value and what other related damages should be covered also? Who will be responsible for my towing charges, storage charges? Who will be responsible for my rental car? Who will be responsible for my medical bills, past and future? Who will be responsible for my lost wages or future lost wages? Who will be responsible for my pain and suffering, mental anguish and inconvenience? Who will be responsible for my other damages caused by the crash? You need an aggressive and experienced Wesley Chapel Motorcycle Accident Lawyer to address the above questions. Brad is a lifelong biker, also an attorney with more than 25 years of experience, has the availability and experience to give you personal service and straightforward answers. Call Brad Souders anytime, day or night, at 1-866-464-5291 for a FREE, immediate consultation. Don’t delay, let us start the investigation before the insurance company! Attorney Brad Souders has an office in Tampa, representing injured bikers and their families throughout the state of Florida. Can’t come to us, Brad can come to you. He offers FREE INITIAL CONSULTATIONS, also offering HOME, HOSPITAL & EVENING OR WEEKEND appointments upon request. After hours, call Brad’s cell phone at (813) 220-7767.